Below is the view from the front of my desk. 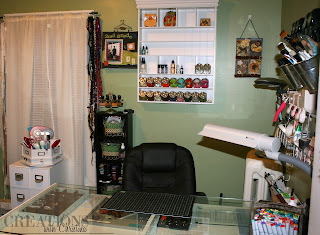 I have plenty of room to grow on my embellishments center and my CD rack that used to hold my stamps is now a quick reach shelf that holds baskets that I can easily take out and put on my desk. I love your room. If I was half as organized as you i'd be set. This is why I like you so much : ) You are sharing your space and that also gives us ideas! Thanks! I love, love, love your creation space! 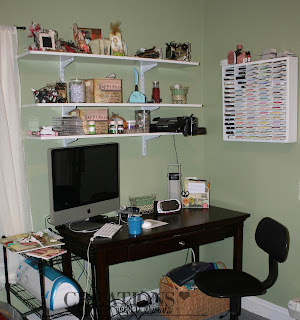 I am inspired to trim up my room and organize even more! Thank you for sharing this and ALL your wonderful work. God bless. Kathy from Savannah, Ga. Your updated craft room really looks great. Everything has a place. Thanks for allowing us to visit your home. Hi Christina, I love your room. I can not wait for Black Friday. I want to get my hands on some of those white cubes. WOW!!! 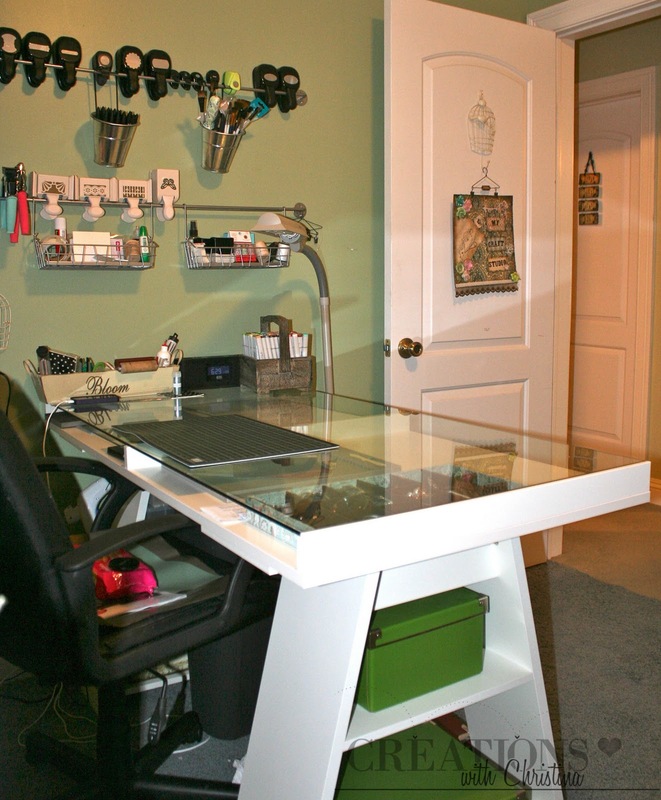 you are super organized...love you room and all your tools (including your table). I have a quick question for you... how do you like your lamp? do you really get a lot of light from it? I need to buy one for my table. Ps. Love your gypsy tutorials!!!!! You are sooooo talented...thanks for all your hard work! I love your IKEA desk and your bygel rails... I have a few of them for punches myself and they work beautifully. Enjoy your upgrades! Christina, you make me want to clean my room again! TFS! Bug Hugs! I love seeing other scrap rooms. I get really motivated to fix up. I love your desk. 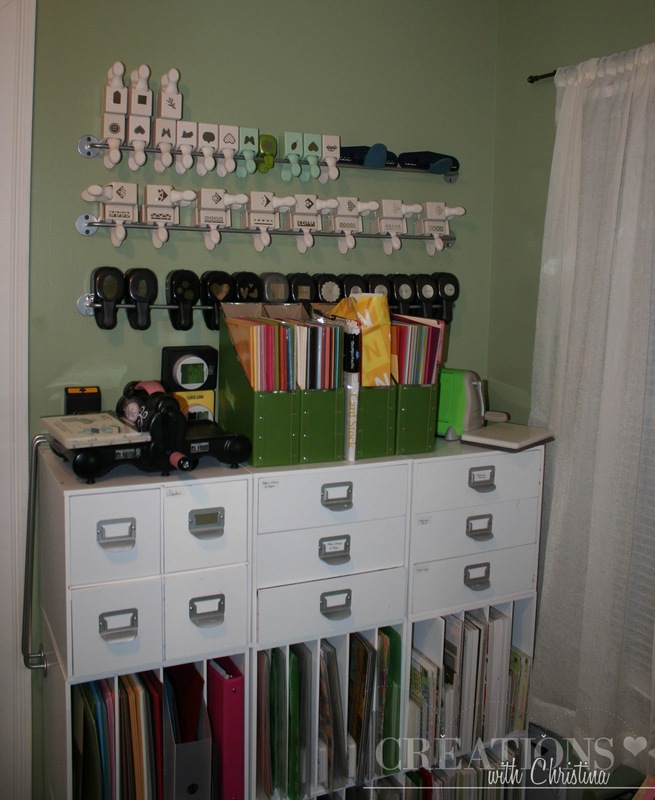 Awesome craft room and I love some of your storage ideas! 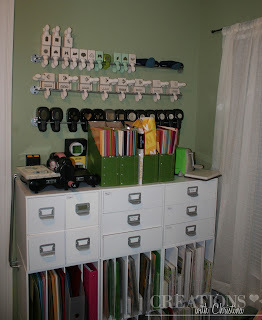 I'm also a huge fan of IKEA and bought all my craft room furniture there, and LOVE it!! awesome room. I was wondering where you got the shelf you have your Stampin' Up ink pads on? I love your craft room. Hoping to update my soon.